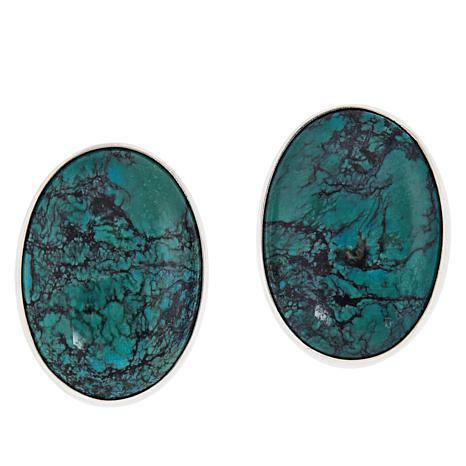 Bring a beautiful touch of natural turquoise to your accessories collection with these oval-shaped, stud-style earrings. 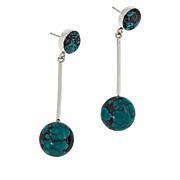 They feature polished cabochons of Hubei turquoise with its distinctive dark matrix. 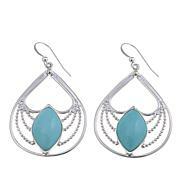 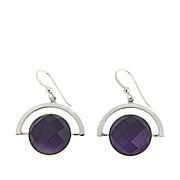 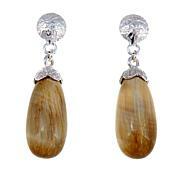 The resulting look are a pair of earrings that are as unique as the woman who wears them!